Spring 2016 marks my 2nd time to Kanto region for Hanami (cherry blossom viewing), with the focus solely on Tokyo this time. Although the places were too crowded and views were mostly hindered by skyscrapers, found it interesting how the vibes of different places could differ so much. In that sense, one can never get tired of Hanami hopping in Tokyo! Ueno Park reached full bloom when I was there on 31st March, also the official day of full bloom for Sakura in central Tokyo. 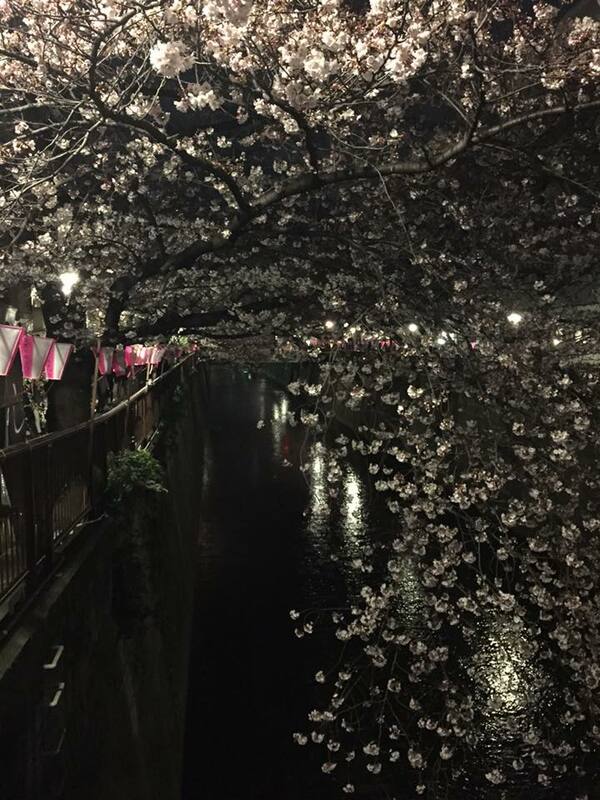 Arguably the most famous Hanami spot in Tokyo, the Sakura tunnel was indeed impressive. 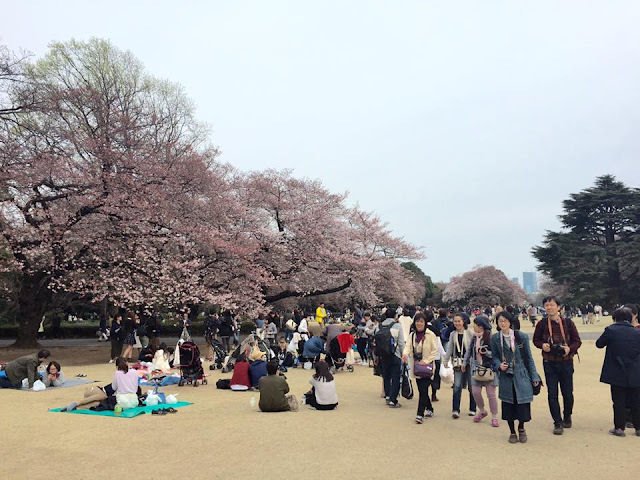 Even though it was very crowded, the walkway was relatively spacious, and Hanami mats were neatly lined at the sides, so the Hanami experience was quite enjoyable. 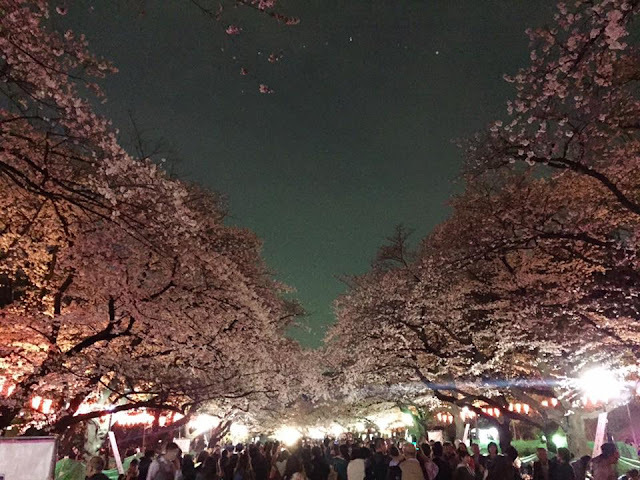 Although Ueno Park is rated as 1 of the top 3 night Sakura spots in Japan, personally find Rikugien and Nijo Castle's night Sakura more impressive, to name a few. Perhaps lanterns don't quite have the same effect as special lighting. Understand that it is rather difficult to get a spot for Hanami here. 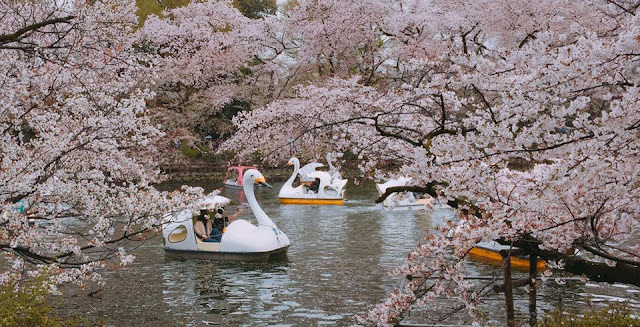 The pros of this place include no entrance fee, relatively long Hanami hours, and alcoholic beverages are allowed. Find it more suited for company or big group gatherings. Find this place more suited for dating, because the relatively narrow paths are highly congested and there is no place to sit down. 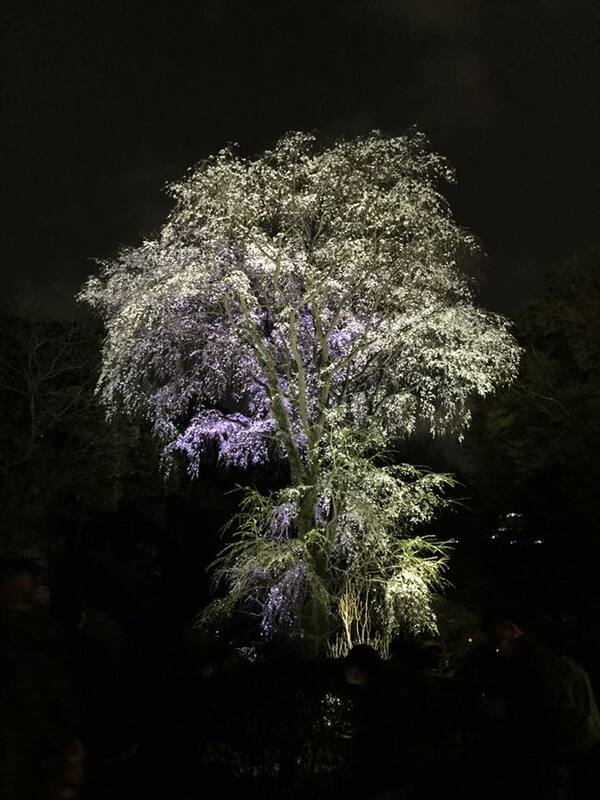 Rikugien is known for its 2 big weeping Sakura trees that look magnificent in the night. The first tree is truly outstanding. There is a long queue to enter and admission fee is required. Due to the large crowd, visitors have to follow a fixed route and are constantly urged to keep moving on. Thus this place is also more suitable for dating and not so ideal for families with elderly/baby or big groups. When I visited on 30 March, Sakura here only reached 50% bloom. 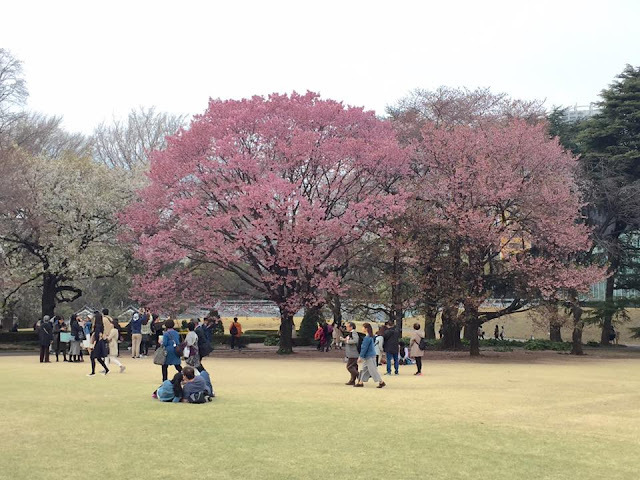 A contrast with many other Hanami places in Tokyo, Shinjuku Gyoen is really spacious. More varieties of Sakura can be found here too. This place has a very relaxing and elegant vibe. No alcoholic beverages are allowed here, so it is an excellent place for families with young children. Also an ideal location for big group gatherings as an alternative to Ueno Park. Above are the more impressive Hanami spots I covered in this trip. I wouldn't quite rate any of them as my personal top 10 Hanami spots in Japan, but thanks to the differing vibes of each place, the Hanami experiences were truly memorable and enjoyable. 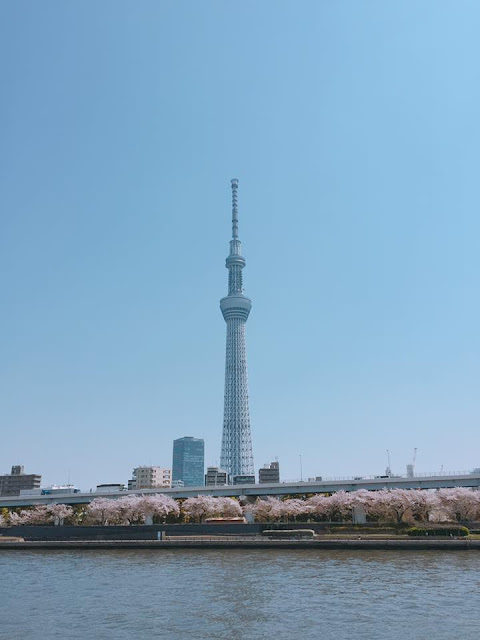 In Spring 2017, my Hanami focus was the Chugoku region, but I still checked out a few places in Tokyo which I had not been to yet, since I was there for other reasons. This year, full bloom nationwide was about a week later than forecast. For Tokyo, most of the Hanami spots reached full bloom on 7th April, almost a week later than forecast. 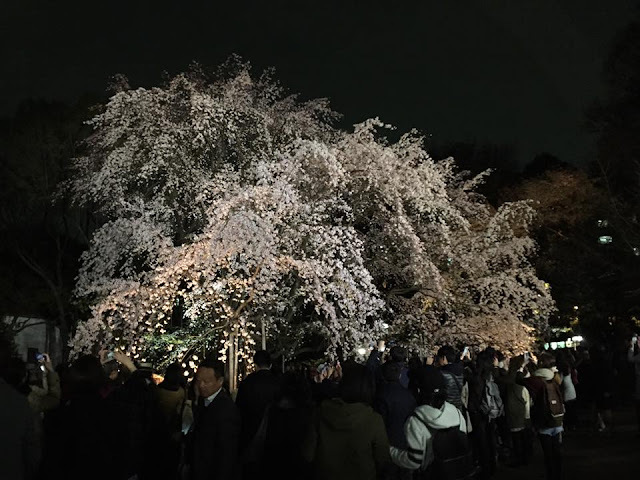 Even though the official sakura at Yasukuni Shrine had started blooming according to forecast (21st March), and most places follow suit a few days later, weather was still rather cold, so it took longer than usual for the flowers to reach full bloom. And when they finally did by the 8th & 9th April weekend, it was drizzling the whole time :( Not just in Tokyo, but also in other parts of the country! 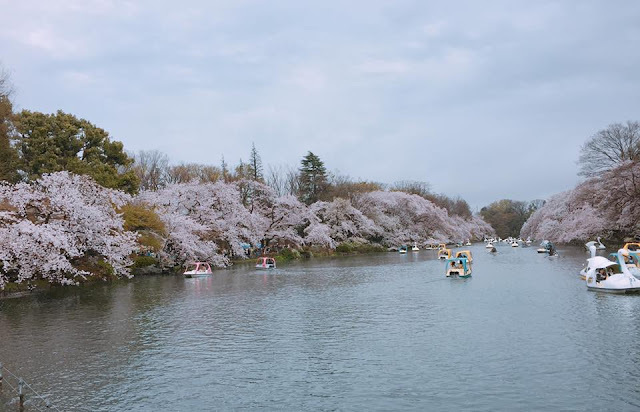 Although such weather is not uncommon in spring, it was still quite disappointing~ Well, I guess I should already be thankful that it was drizzling, not pouring, or else the sakura that had finally reached full bloom would be all gone before I could even appreciate its beauty! Inokashira Park is located in one of my favourite neighbourhoods in Tokyo-- Kichijoji (吉祥寺). 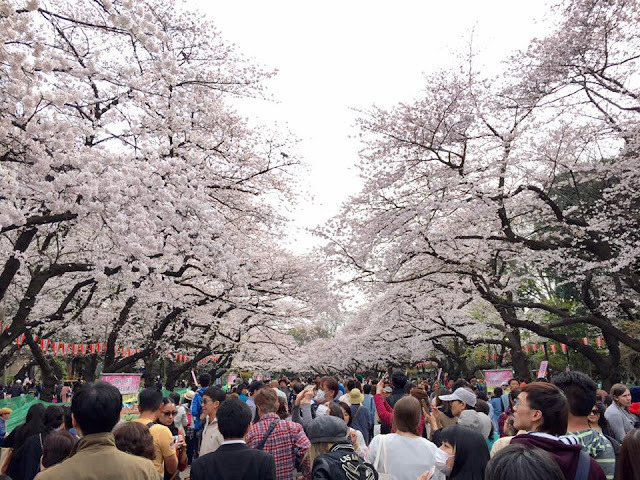 I was unable to go there for Hanami last year as the sakura (typically) blooms slightly later than other places in Tokyo such as Ueno Park. When I went there on 9th April this year, the flowers had just reached full bloom, but it was drizzling and the ground was muddy. Nevertheless, there were plenty of people boating or strolling in the park. It has a relaxing vibe similar to Shinjuku Gyoen, probably because of the spaciousness. There are a few sakura varieties there, though the majority is still Somei Yoshino. It is a good cherry blossom viewing spot for couples and small families with children because of the boating. 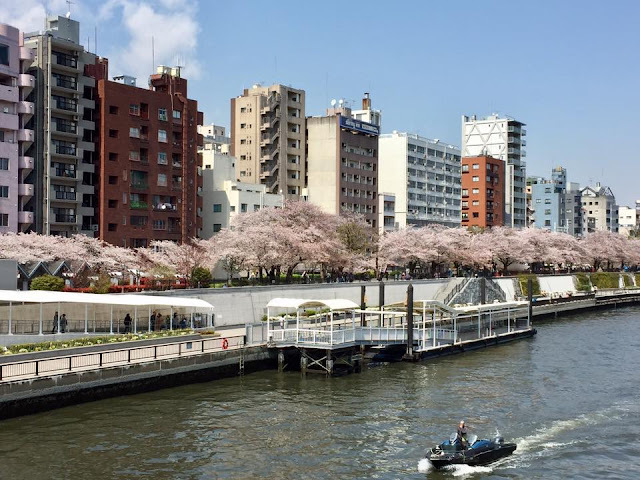 Sumida Park is walking distance from Asakusa (浅草), which makes it highly accessible for tourists. Near 1000 sakura trees line both sides of Sumida river, and it would be nice to enjoy the blossoms on a boat/cruise. However, unlike most of the places mentioned above whereby I can enjoy Hanami slowly and forget that I am in a metropolis, this place doesn't quite make me feel the same, perhaps due to the buildings parallel to the trees. 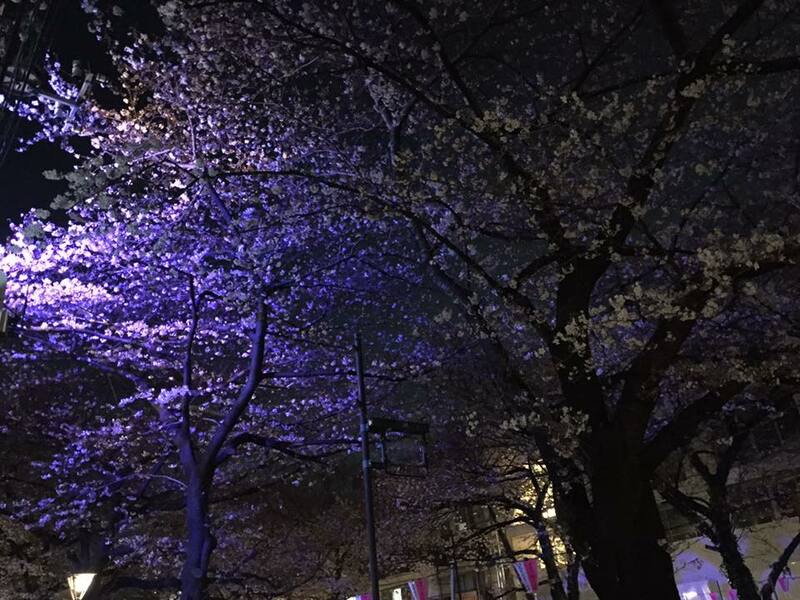 It is still good for those who prefer a convenient location to do a quick Hanami.